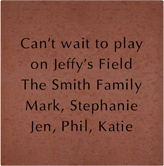 Buy a personalized brick to support construction of Jeffy’s Field, a beautiful baseball diamond being constructed for LOUYAA athletes in New Market. Jeffy’s Field is being built in memory of Jeff Hayek, a smiley red-headed 10-year-old who played for LOUYAA and loved baseball. It will be a very special field, where kids will be excited to learn and play the game. 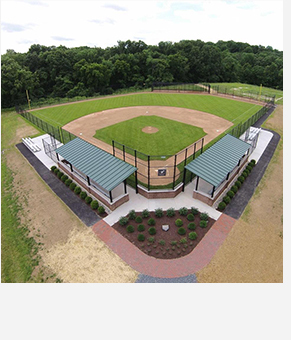 The field will be the centerpiece of LOUYAA’s New Market home baseball park. You have the opportunity to be part of the new field and the future of LOUYAA baseball by purchasing a personalized inlaid brick behind the Jeffy’s Field backstop. Inscribe the brick with the name of your young player, your family or business name, or a tribute of your choosing. If you would prefer to mail in your order with a check, please print out the attached form. LOUYAA baseball reserves the right of refusal of any order found to be inappropriate or in violation of LOUYAA baseball policies, directives or guidelines.